The euro currency has slipped in value after the European Central Bank (ECB) trimmed its growth forecasts for this year and next. The ECB’s three-year, 2.6 trillion-euro ($3tn) bond buying program is ending this month, and the central bank has claimed it is still on track to raise rates after the summer of next year. Delivering his prepared remarks to reporters in Frankfurt, ECB President Mario Draghi said 2018 growth in the euro area was expected to be 1.9 percent rather than the 2.0 percent forecast in September. “The risks surrounding the euro area growth outlook can still be assessed as broadly balanced. 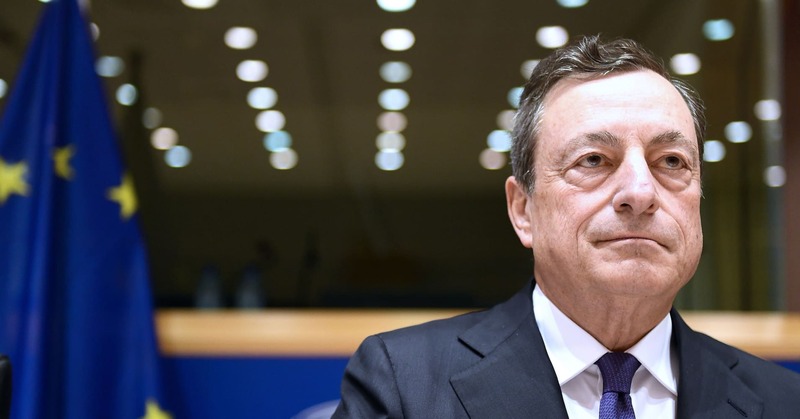 However, the balance of risk is moving to the downside owing to the persistence of uncertainties related to geopolitical factors, the threat of protectionism, vulnerabilities in emerging markets and financial market volatility,” Draghi said. The 2019 GDP (gross domestic product) figure was also trimmed back to 1.7 percent from an earlier forecast of 1.8 percent. The euro/dollar currency pair was at $1.1375 as Draghi begin speaking and fell to $1.1340 following the data release. On the day, the currency was lower by around 0.25 percent versus the dollar. For inflation forecasts, Draghi announced that a slight upward revision in his staff projection for 2018 to 1.8 percent, has been offset by a corresponding fall next year.